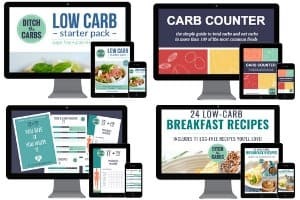 If you are new here, this page may help and this page to help you understand how and why low carb eating is so beneficial. Pinterest board. Also take a look on my Pinterest board which is dedicated just to school lunch ideas. lso take a look on my Pinterest board which is dedicated just to school lunch ideas. 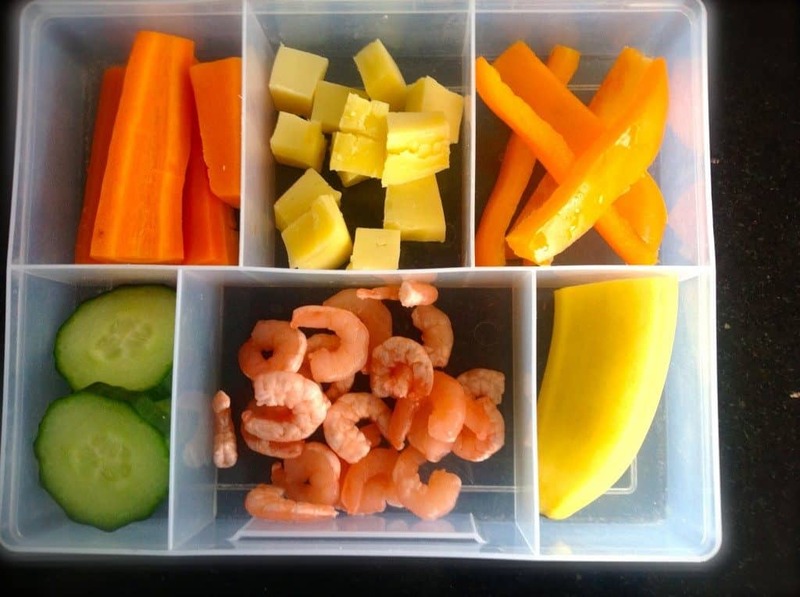 Today was defrosted pre-cooked shrimps/prawns (great for Omega 3’s), capsicum, cheese, half a banana, last night’s cooked carrots and some cucumber. I try to make it as colorful as possible to encourage my youngest to eat a bit of everything, and each colour helps get a variety of phytonutrients. The biggest tip I can offer for giving up the bread and wraps, is to get a lunchbox with little compartments or use lots of little containers. Children love a buffet style lunch. Or use silicon cupcake cases to turn a large lunchbox into smaller compartments. Take a look at the other posts on low carb lunches and low carb kids, to get ideas, tips and tricks. Free printables to get your children involved.